Advanced technology is effecting our life today by causing an appreciated increase in luxuries and facilities, that results in more laziness and ultimately more people are becoming obese these days. It is one of the most rapidly thriving health problems of the 21st century. This heath problem is more serious in developed countries. One measure to cure this horrifying disease (one can say), as it causes serious heart problems and results in devastated effects on body, can be adoption of low carbohydrate diet. The diet containing lesser amount of carbohydrates. Low carb diet enhances your body by shifting your metabolism towards burning of fat instead of carbs. 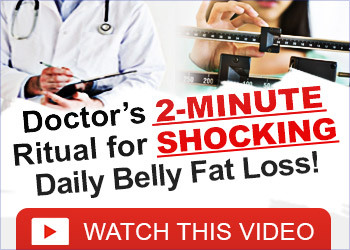 As fats are the primary cause of obesity so they must be removed to cure the effect. When your intake of carbohydrates, which are direct sources of energy to humans, declines, body start making fats itself as source of energy and engine starts running on substituent fuel. So as now high amount of fats are getting burned, this ultimately results in weight loss. Low carb diet is made up of foods having low sugary contents and simultaneously having high contents of proteins and fats like fish, eggs, red meat, salads etc. One should also take high fiber foods under observation when talking about low carb diet. A little exercise and weight-lifting will act as a catalyst with low carb diet, as it results in muscle formation and these are the best place for burning of fats as muscles do work even when one is resting. Such kind of plan can be made more effective with a slight advice from a dietician. While one is sustaining on low carb diet, high intake of water must be ensured; because if water percentage decreases in body, it will lead to immobilization of fats that will hinder the effect of low carb diet, environment conditions also causes loss of water from body. To maintain balance between micronutrients, diet should be adopted with great care. Diet plan is different for everyone, so one should be careful while choosing according to his or her energy requirements. Wrong selection of constituents under low carb diet can lead to serious health problems. As carbohydrates are major sources of energy and if one is eliminating them, it can lead to weakness and completely exploits body reserves. A long term deficiency of carbohydrates derails metabolism process and causes adverse effects on vital organs like heart and kidney. Although, with a bit of attentiveness, it can become of the effective ways to lose weight. Follow proper diet plan and manage a proper food diary and consult a dietician, soon you will realize that you have taken a right step.